Patrick Hoffstetter, the chief digital officer at Renault, says the rise of digital has meant there is a "new era" in the car industry where the marketing director is becoming a "publisher". 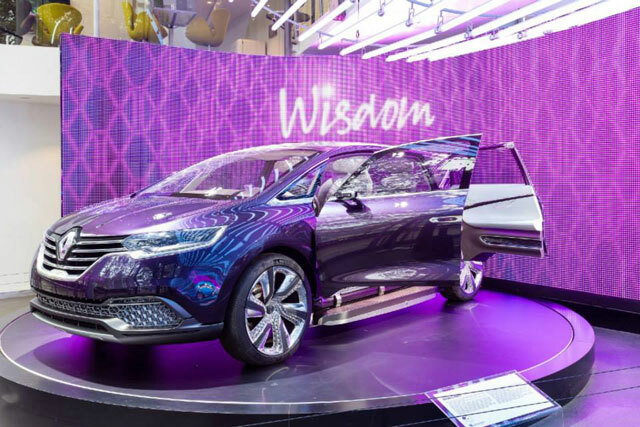 Renault’s renewed focus on digital marketing has made the company reassess how it handles digital media, after it previously found itself burnt at the turn of the millennium. Hoffstetter, who was speaking at Dreamforce in San Francisco yesterday, said: "In 1999/2000 we had a digital-slash-customer relationship management bubble, where the company invested quite a lot in digital platforms, ecommerce and global CRM tools and that was a flop to be honest." "The company and our execs were quite reluctant to play again, but today, looking at the evolution of technology and the figures, it is no longer a question of should we do it or not. It is more a question of when and, more importantly, how." Renault believes it will the end the year with 200 million unique users on its web platforms and has recently passed ten million fans on Facebook, which has all contributed to generating more than a million leads to its car dealers. Hoffstetter believes Renault's initial large investment into digital was a failure because the company moved too fast and too soon. He said: "With innovation you need to be careful not being late and being bypassed by the competition, but at the same time you can’t be too early. It was too abrupt a decision going from zero to very big." Attitudes have now changed within the intervening decade at Renault, as digital channels became too important to ignore. Hoffstetter said: "CRM is becoming a priority and on one hand, digital at large has been retransforming the whole purchase funnel in the car industry and we can’t ignore that. Previously, it was mostly seen as a constraint." A recent study by Renault found more than 20 per cent of its customers wanted to do as much as possible on the web and spend the least possible time in the dealership. The focus of Renault’s CRM push is its My Renault owner portal, which has now surpassed two million subscribers. Hoffstetter said: "It is a key tool to lever the consumer and increase retention in a world where retention is becoming key because there are more switchers. In Europe, 50 per cent of new car buyers are brand switchers, which is very different from ten years ago."